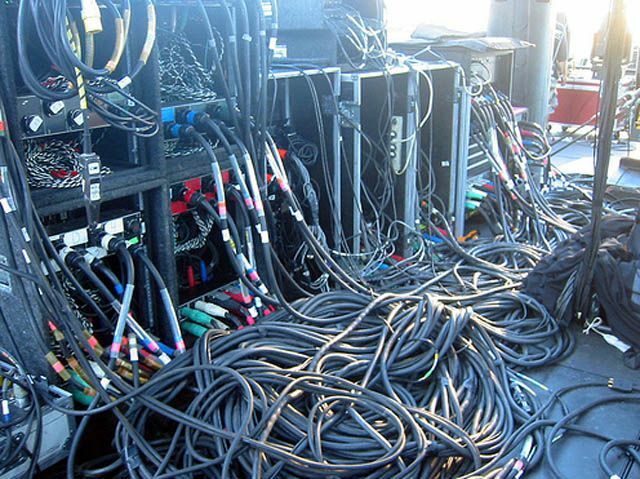 Gotcha… just hearing the words patch bay and audio routing make you dizzy, right? Well, if that’s the case then you should definitely check out what Flock Audio has in store for you. We have been keeping an eye on these guys since last year and we’re glad to see Flock Audio has announced the availability of its innovative PATCH System — the world’s most advanced digitally-controlled, 100%-analog patch bay routing system. The PATCH System is a smart and effective way to rationalize the audio workflow of your setup, allowing you to control everything right from your computer screen. It’s the killer combination of PATCH APP software and 64-point connection-providing PATCH hardware working together in perfect harmony that makes the PATCH System what it is — the world’s most advanced digitally-controlled, 100%-analog patch bay routing system, allowing anyone to easily control analog audio routings without having to resort to the use of manual patch cables. Cable replacement comes courtesy of the MacOS- and Windows-compatible PATCH APP software. Skilfully accomplished, finely tuned, and intuitively powerful, it brings the simplicity of drag and drop functionality to the world of analog audio routing. PATCH APP is really the driving force behind creating complex or basic analog audio routings in seconds! Intentionally implementing a familiar look and feel, yet oozing originality, PATCH APP harnesses the PATCH System’s power and flexibility via four user-friendly sections, starting with an index of HARDWARE; here users can customise and store all their DB-25-connected outboard audio equipment and instruments in an easy-to-use, searchable index. The ROUTINGS menu allows them to quickly store active routings and recall them at a later date. Arranged as a grid, the active routings section is where users can set up and visualise their routings. There they can click and drag any analog hardware from the HARDWARE index into a PATH to create their desired signal flow combination; by being based on the visual concept of most DAW layouts, the active routings section should feel familiar to today’s DAW-driven production populace. Put simply, a PATH represents the PATCH System’s signal flow; all are arranged from top to bottom in the PATCH APP. PATCH System is now available for purchase — priced at an RRP of $2,199.00 USD — through Flock Audio’s growing global network of authorised dealers or order online directly from Flock Audio.